"Paying It Forward Over $200K While Facing Financial Struggles Of My Own!" Super Coupon Woman’s Book Give Away To Help Celebrate 2018 Pay It Forward Day! 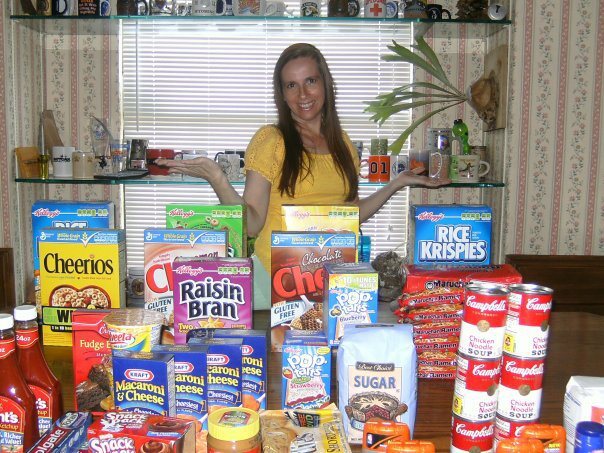 To Celebrate Pay It Forward Day 2018, Super Coupon Woman (Me) is giving away my E-book “Cutting Hunger One Coupon At A Time where I shares how I went from a struggling single mom to becoming known as Super Coupon Woman. I Started giving back as a way to say thank you to all those that helped me through difficult times starting a pay it forward mission that grew beyond anything I could of imagined, giving back over $150k to her community and still going strong. Learn how to coupon, save money, and start your own pay it forward mission with this inspirational book. Super Coupon Woman’s Guest Blog Post on The Mastermind Within! I wanted to share my guest blog post featured on The Mastermind Within, Please take time to read it and share with others, or if you have a blog and would like me to share my pay it forward story, please email or comment below. We Make A Living By What We Get, But We Make A Life But What We Give! Super Coupon Woman Shoe Drive Fundraising Project! 2017 was a year to recover and heal from several years of bad events that was hard to recover from. I had a pretty calm year other than falling and hurting my right shoulder which is my tray carrying arm. It’s still hurt and I have to be careful since I had to continue working with no money to fall back on. I am only limited to not being able to take large parties and other servers don’t believe I am really hurt. Focus On Myself More and Not Put Extra Stress On Myself…Success! Not Spend any money on Paying It Forward, can only use items others give me or free items I get from Couponing or any fund raising money I receive. Success…I did spend some money, but would back away if I was feeling overly stressed from paying it forward. Make an extra 3,000 in income from side jobs such as book sales, mystery shopping, blogging, or other side jobs. Failed..only made about 200 and did not put time in on my blog, and froze as far as marketing my book because my self esteem got bruised from all I have been through…hoping to get my inspiration back this year. Complete the 52 Week Savings Challenge which will give me 1,380.00 to deposit at the end of the year…Failed…too much debt to pay. So lot’s of resolutions were not kept as with many, but the two main ones were…so I will be able to focus on the other ones this year. I hope 2018 will be a calm year that allows me to continue to heal and grow that will allow me to continue paying it forward without a heavy heart. Find fundraisers to raise money to grow and build Super Coupon Woman Foundation. Continue to focus on myself to heal and grow as we all should each year. Only spend money on paying it forward if budget allows. Complete 52 Week Savings Challenge: Want to join to have 1,380 savings at the end of the year? Have three months worth of bills saved in the event of an emergency and work towards having six months saved. Finish Girl’s Memory boxes and Scrapbooks. Coupon & Stockpile more this year. Do mystery shopping or other side jobs to try and earn an extra 3k this year. Share your New Year’s Resolutions with us and let us know if you kept any for 2017! 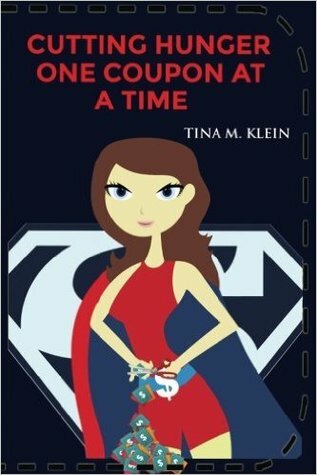 Win A Copy Of Super Coupon Woman’s New Book! Win A Copy Of My New Book…Contest Ends March 31st! Giveaway ends March 31, 2017. Super Coupon Woman is offering the Kindle Version of Cutting Hunger One Coupon At A Time .99 through Valentine’s Day! If you want to learn how to save money, learn to coupon, and read a great Pay It Forward Story that will inspire you to give back in your own community then don’t miss out on this deal! Two More Days to Get “Cutting Hunger One Coupon At A Time” FREE! You can also sign up for Amazon’s 30 day Trial to Kindle unlimited where you can read unlimited books for free! Enter below to win a free copy of my book that will help you to save money and give you ideas on paying it forward in 2017. Everyone that has read it, says they loved it, and couldn’t put it down which makes me really proud since it took a year longer to write. I am glad I took the extra time to make it turn out better! Kindle Version of “Cutting Hunger One Coupon At A Time” 60% Off For a Limited Time! Super Coupon Woman is offering the Kindle Version of “Cutting Hunger One Coupon At A Time” for only $3.99 for a limited time, Normally $9.99 which is a 60% Savings! If you want to start 2017 out right by saving money and have a great Pay It Foward story to inspire you to give back to your community, this book is a must buy! In this book, I teach how to coupon in easy to follow instructions, show how to save money without couponing, give you creative ways to save to show saving money does not have to be hard. This book will show you how to make saving money a way of life in simple to follow steps. I am no Dave Ramsey, but I know how to save money! After all, I didn’t get the title “Super Coupon Woman” for no reason. Amazon even has a free kindle reader for those that do not have one. Super Coupon Woman Loves Free! Super Coupon Woman’s Ups & Downs of 2016! 2016 is coming to a close, and I am really looking forward to new beginnings in 2017. Even though I have made great strides in my Pay It Forward Challenges over the past few years, I have also endured quite a few financial struggles along the way. The last really good year I remember having was in 2012. Some of the things I have had to overcome include job loss, lots of car issues which included car being totaled, replacing totaled car with a lemon which led to me having to get a new car with car payments to feel safer. (I hate car payments). This year alone we endured two Wylie hail storms which caused over $8,000 in car damage and at least $30,000 in house repairs which has yet to be fixed since we rent. In May 2016 the business that I own with my ex husband (I know what???) burnt down and we lost everything causing a personal loss of $30,000. Total fire loss was over $300,000 which included several other peoples losses such as our landlord, nephew, and the business next store. Going through these struggles has made me a little down and out over the past few months. When going through personal struggles especially as devastating as these, It’s hard to see the positive things that have happened also. There have been a lot of positive things that have happened throughout the year also. I was able to reach another $30,000 in donations which included helping 100 children with backpacks filled with school supplies, and over 50 children have Christmas this year and brings my total donations to 125,000 to my community and still going. I had a storage building donated to me from Morning Storage in Wylie, and I finished my book “Cutting Hunger One Coupon At A Time” on Amazon Black Friday 2016 which shares my Pay It Forward Mission, and teaches everyone how to coupon and other unique ways of saving money even without couponing. Everyone that has read it said that once they started reading, they couldn’t put it down and told me how good it was which makes me really proud. Now that I have accomplished my mission and shared my story in a book that will inspire others to Pay It Forward in their communities, I will be slowing down a little this year and focusing on myself this year, as I tend to put more pressure on myself than I should. For example, I only wanted to do around 25 children for Christmas, but ended up doing over 50 because they were begging me and I couldn’t say no when in reality, I wasn’t too far off from their situation. I don’t think at anytime this year, I have had over $100.00 in my bank account. Maybe since I have a Non Profit, people assume that I receive financial donations but since I am somewhat shy and haven’t had time, at this time I do not. I ended up being overly stressed due to a few people telling me they would send me a financial donation and backing out. There were a few other things that happened that was upsetting and left me feeling taken advantage of. This left me looking for ways to continue paying it forward, but relieving the financial struggles and extra stress as it was hard to meet up with people and when I took on more children, I ended up feeling like I let the families down because I got very few Thank you’s when I tried so hard. So through all this paying it forward I have learned a few things, and am happy to say I have came up with a way to continue paying it forward without all the stress. In 2017, I will regroup and get more organized, hopefully learn some ways to fund raise to get back on track to helping families in my community for Thanksgiving, Christmas, and other needs when they arise. Resources For Families That Are Struggling Financially! Super Coupon Woman Wishes Everyone A Happy New Year! Start 2019 Saving Money The Easy Way!